World Officers had already been in Kowloon, Hong Kong for a week by the time the East Asia Area Seminar began. 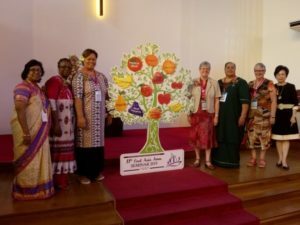 From 18-22 March we had met as the World Executive to hear of developments in each Area, discuss various proposals and begin planning the next World Assembly in detail. I shall report on that meeting separately. Before the East Asia Weaving Together Programme began on the Monday, I took the opportunity to visit the impressive Methodist International Church on Hong Kong Island, a modern but welcoming 22 storey building with the serene Sky chapel on the highest level, another large main church sanctuary and a basement chapel, with Conference and Church offices, residential accommodation, and space for children and youth activities on other floors. The commitment of those who followed the vision to create this church is an awesome testament of faith. 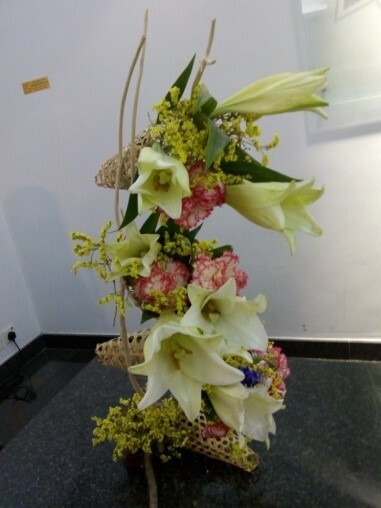 On the Sunday morning, we attended a service in the Ward Memorial Methodist Church, our base for the two weeks’ events and the spiritual home of the Area President Mrs Ngui Ting. Mrs Ngui Ting is one of the directors of the Yang Memorial Methodist Social Services organisation under The Methodist Church, Hong Kong. Much of the second service was in Mandarin, but we English speakers were made most welcome, appreciating the translations of hymns and bible readings provided for us. The Weaving Together Programme was attended by representatives of each of the Units in the Area, plus some observers from Cambodia who are hoping to become affiliate members of the Federation. We were grateful to have two translators, for Chinese and Korean. As usual, we heard reports from each Unit and then used the Ketso resource to help us set priorities for the future. 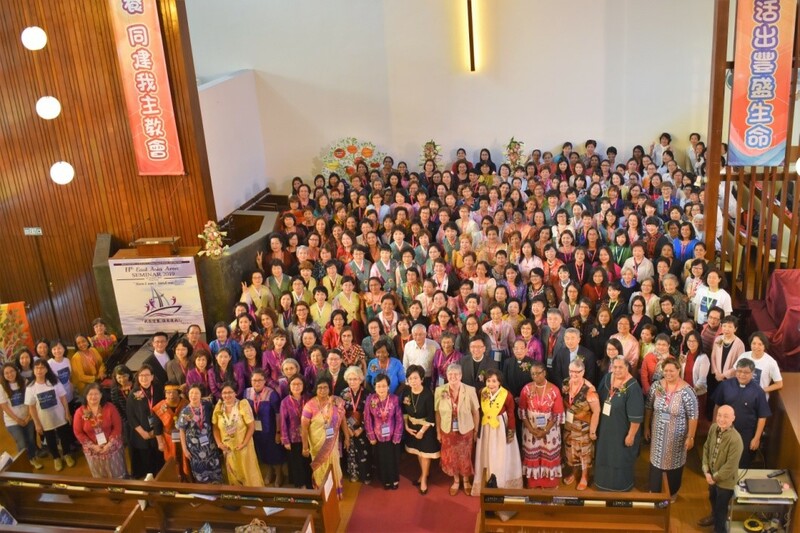 We also prayed and worshipped together, forging a strong bond between the members of this group of East Asian women leaders. On Wednesday evening the Seminar opening worship began with a procession of banners and ended with a group photo of the 293 women attending. 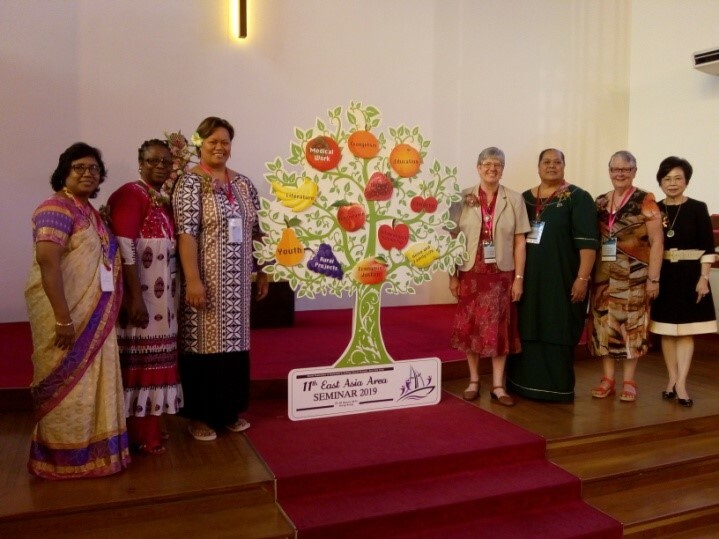 A beautiful ‘tree’ was adorned with the twelve ‘fruits’, described in the Federation handbook as our priorities for action. The Rev Dr Sung-che Lam, President of the Methodist Church, Hong Kong, preached on Jesus’ encouragement to ‘Go and do thou likewise’ Luke 10:37. The Hong Kong Methodist Women’s Association choir sang an inspiring anthem. Young women played a significant role in this Seminar, enjoying their own leadership training event alongside the programme. The two Helen Kim Scholars, Kyeo from Taiwan and Ruth from Malaysia each led morning devotions on the Thursday and Friday with bible reflections by women leaders from the Philippines and Singapore. There were no workshops but excellent speakers held us enthralled at plenary sessions. Dr Francis Yip spoke about those living in fear of violence and oppression, poverty and marginalisation. He urged us to respond to the great commission with concrete action as well as evangelism. 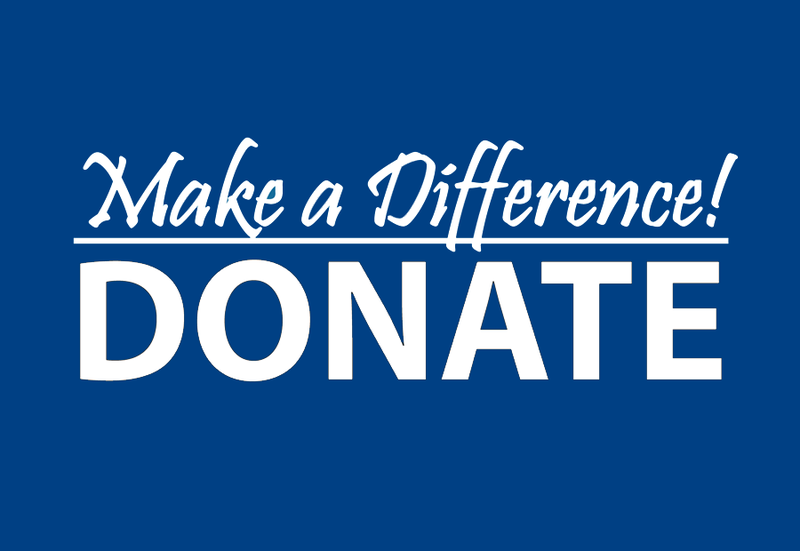 We need to be ‘empowered for action’ through the Holy Spirit. Rev Prof Lung-kwong Lo used the story of Hannah, who glorified God by offering her child into God’s service, to encourage us offer our time, talents and money to serve the Lord and let him decide how he will use us. I used our current Federation theme of ‘Chosen People: Called to Proclaim’ to highlight some of the ways we proclaim our faith through worship, relationships and social action. 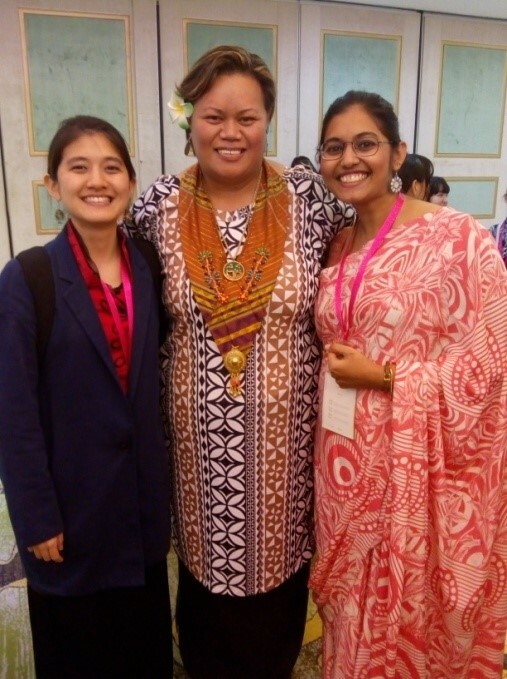 Rev Haesun Kim helped us explore the theme of the Seminar ‘ Here I am- send me’ asking ‘what are you afraid to share in your own locality?’ Vice President Matilda Johnson ended her inspiring address on United Nations Sustainable Development Goals 11 and 16 by sharing a poem she had written herself. 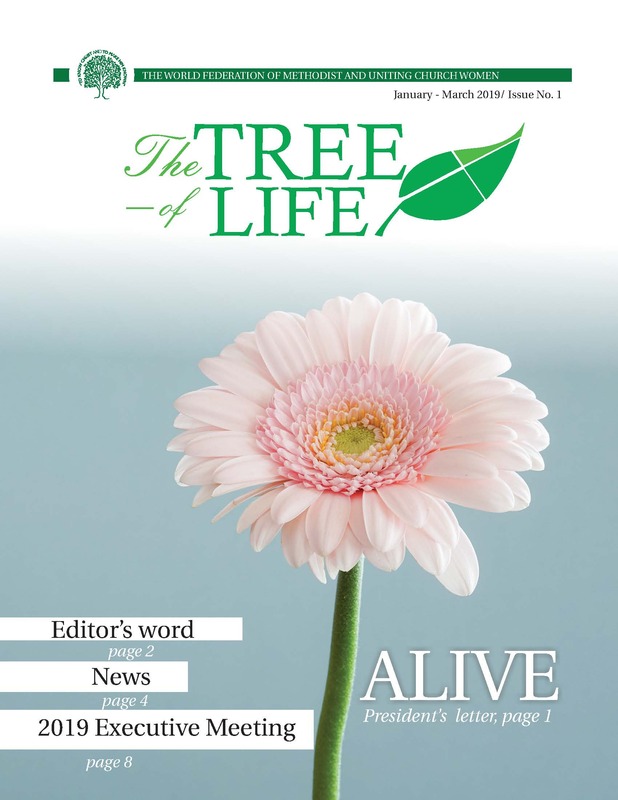 It has been included in the March Issue of the Tree of Life with her permission. Mrs Joyce Lee described the excellent and much-needed work of ‘Crisis in the Family’ an organisation caring for those affected by unmarried pregnancy, mental ill-health, substance abuse and prostitution, poverty and the needs of the elderly. Having such a full programme did not mean that we saw only the inside of the excellent YMCA hotel and the church. Far from it! We were taken by coaches to another venue for the gala dinner and, on the Thursday, across to Hong Kong Island to the summit of the Peak and then down to the coastal resort of Stanley where we enjoyed a stroll along the promenade and through the market. I returned home with my suitcase bulging with beautiful gifts from the East Asia Federation women and beautiful memories of conversations shared with women whose life experience is quite different from my own. 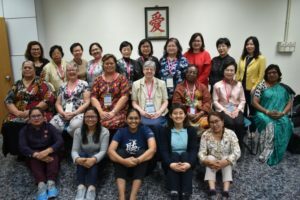 Several I spoke to were coping with religious persecution, or family members struggling with illness, or disappointment at not being elected one of the Area Leaders for the next quinquennium, but each one so appreciative of the sisterhood of the Federation which offers mutual support and prayerful encouragement to meet the needs of those in their communities.